If you’re looking for a huge selection of quality used cars at wholesale prices, Ocean Township drivers don’t need to drive further than 20 minutes to get to Automotive Avenues, the most transparent and well trusted used car dealer in the area. “This is a no haggle dealership… so the final price is very reasonable. The staff are friendly and helpful, and most importantly, this dealership really does seem to care about its customers. 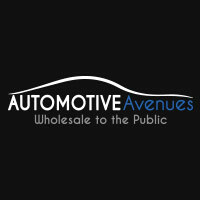 I highly recommend Automotive Avenues to future car buyers!” – Manish C.
“Our sales rep was Nicky-he was absolutely fabulous. Very knowledgeable about all of the cars we had questioned. We ended up choosing a trade-in jeep-which feels so natural to drive with a plus of looking brand new. I’m so happy with the decision that we made. Thank you Nicky!! We are so grateful.” – Devin G.
“The service is great. Max gets the job done and gives you the best deal. The team allows for a wonderful car-buying experience!” – Briana M.
For more information about used car dealership serving Ocean Township, contact us at (844) 455-4372.